Pininfarina has announced that the "Bluecar" electric urban car project is to finally get the green light with the confirmation of production of 4,000 units destined for a Paris car sharing scheme in a deal that will see Cecomp leasing the factory infrastructure. 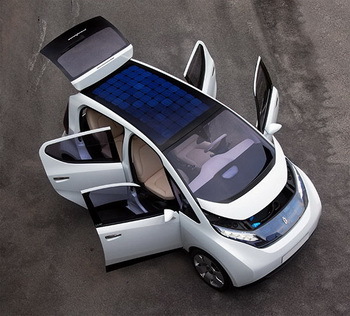 A statement issued by Pininfarina yesterday said that the Turinese design and engineering firm had: "executed a preliminary binding contract with Cecomp and the Bolloré Group pursuant to which Pininfarina will lease to Cecomp the business operations for production of 4,000 electric cars destined to Autolib, a car sharing service that will be operational in October 2011 in Paris and in 40 other municipalities in the Île-de-France district." The contract is however subject to union agreement and will run until December 31, 2013, with cash-strapped Pininfarina receiving 14 million euros for the lease which will consist of the Bairo Canavese plant and all its machinery, equipment and accessories, some contracts for the supply of utilities as well as the 57 Pininfarina staff at the plant. The electric cars that Cecomp will produce the Bairo Canavese plant - derived from the Pininfarina Bluecar, a project unveiled at the 2008 Paris Motor Show - will be used for a public electric car rental service developed by the city of Paris. The call for tenders to supply 4,000 cars was won by the Bolloré Group, with which Pininfarina established the Véhicules Électriques Pininfarina-Bolloré joint venture for the production of electric cars in 2008. The Bolloré Group and Véhicules Electriques Pininfarina-Bolloré undersigned the contract as guarantors of Cecomp’s obligations not covered by bank guarantees. The signing of this agreement represents a key step forward in the implementation of future programs for the production of electric cars on a larger scale, which are the basis for the agreements between Pininfarina and Bolloré.